Carriers just don't throw a device on the floor and say to the reps, "go sell it." There is training involved as the reps learn all they can about a specific device. 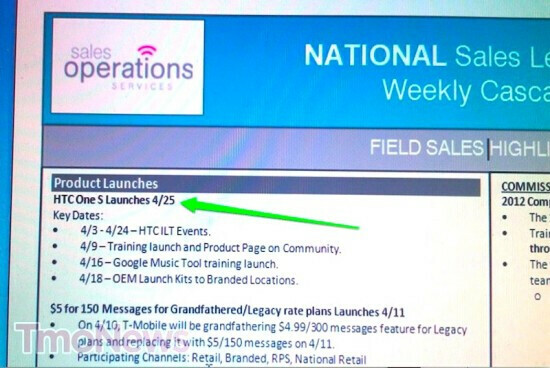 Apparently, T-Mobile reps have just through a presentation on the HTC One S and leaked shots of some of the slides used in the training session show that the nation's third largest carrier will be launching the device on April 25th. This dovetails with earlier reports that the phone would be launching late this month. The rest of the session focused on things like Beats Headphones, which will be priced at $199. One slide says that the carrier will be grandfathering the $4.99 for 300 text messages plan as the new $5 for 150 text messages plan starts on April 11th. 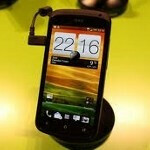 And each T-Mobile store will have 1 live unit and 1 dummy model of the HTC One S for customers to play with. T-Mobile reps will have an incentive to push the model. 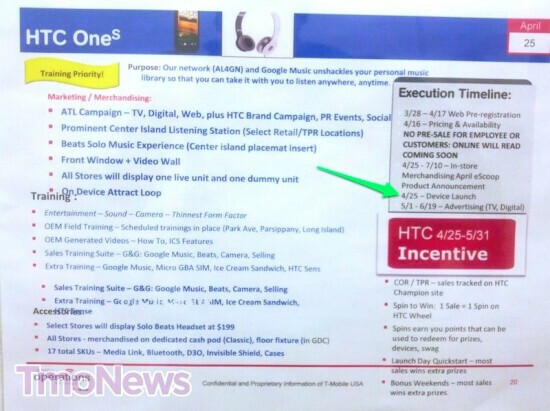 It looks like every sale of an HTC phone will allow a rep to spin something called "The HTC Wheel" to earn points. These points can be redeemed for "prizes, devices and swag" according to one slide. 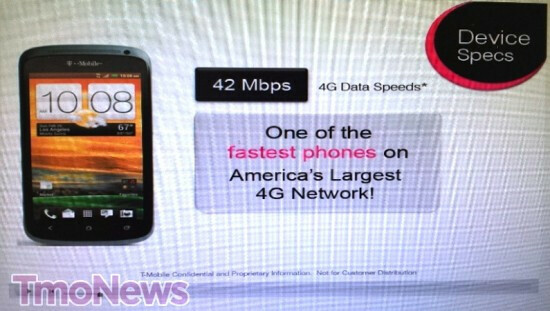 Pricing for the HTC One S is still unknown at this point, but should be revealed as we get closer to the 25th. You guys are mixing up Sprint and T-Mobile. At first I was like...are you kidding? Then I realized...yeah, they are. LOL that's what happens doing things late at night!